Strategic living, growing, and prospering! 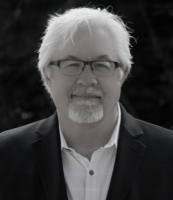 Robert is a strategic professional with 35+ years of consulting, leadership development, project/program management and professional training, coaching & mentoring experience. He has expertise in personal & professional growth and leadership development, team management concepts and principles, program management for large complex IT Transformation solutions, hardware/software deployment, education analysis, curriculum design, and training delivery methods. He has led or participated in the management & deployment of hardware, software, leadership and team development, and leadership & technology training solutions to more than 300,000 personnel in 230 locations worldwide. He has a bachelor’s degree in Business and currently serves as the founder and president of Strategic4Life, a leadership development, training, consulting, coaching and mentoring company. Charity RN is a strategic professional with 15+ years of leadership development, training, relationship building, coaching, and mentoring experience. Charity has led teams, established and successfully run small businesses, launched community youth recreation leagues, built teams of volunteers for community outreach programs, as well as worked in the medical community as a registered nurse. As a founding member of Strategic4Life, Charity has a deep-seeded passion for effective communication, team building, and helping others recognize their strengths and ways to bring out the best within themselves. With more than 15 years of leadership management experience, Ty has developed a unique ability to assess an employee’s potential and coach them to reach that potential. Ty has 10+ years of experience managing teams in the retail industry, working as a Senior Manager with 2 different Fortune 100 companies. Additionally, while working in the medical field, Ty was able to increase his company’s revenue by over 114% in just 2 1/2 years by training and developing his team. Ty’s proven track record of coaching, training, and developing his teams to success comes from a passion for helping others to rise to their potential in order to exceed their goals, discover success in their career, and find happiness in their personal lives. Georgette has led groups for 4+ decades. She's skilled & experienced in assessing the needs of individuals, teaching, mentoring, developing appropriate programs, activities, strategies, for students, churches & for for-profit and nonprofit organizations. She established a private Christian school to accompany a thriving after-school program, supervised several programs in the public-school system, served and/or presided on the board of several organizations, developed and served on various ministries of churches. She earned a B.S. in Education and Sociology; has earned a Master’s in Education (M.Ed. ); later attained a degree in Educational Administration and Supervision (Ed.S); has earned multiple certificates to align her skills to the needs of the groups she services; and in 2018 Georgette was certified by John Maxwell as a coach, teacher, trainer, speaker, mentor. Among her many callings, she's proud to be an active founding member of Strategic4Life, a leadership development, training, consulting, coaching and mentoring company where she can demonstrate her passion about the spiritual, intellectual and emotional development of others. 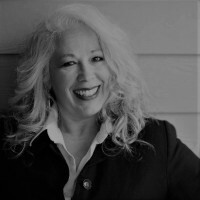 Sabrina specializes in personal & professional development with 10 years of consulting, leadership development, professional training, coaching, and mentoring experience. She has led on staff at one of the fastest growing churches in America. She has specialized in or participated in conflict resolution management, development of new speakers, leadership and team development. 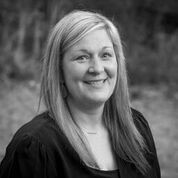 Sabrina also has a background and certifications in law enforcement and healthcare fields. She currently serves a colleague for Strategic4Life, a leadership development, training, consulting, coaching, and mentoring company. Over the past 20 years, Josh has developed a unique passion and ability to equip teams and individuals with tools that allow them to develop their strengths, discover & deploy their purpose and realize their dreams. 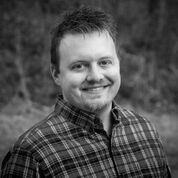 Josh has led on the Executive Leadership Team at one of the fastest growing churches in America, gaining experience in team building, leadership development, training, coaching and mentoring. 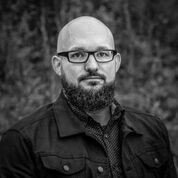 With 20 years of experience in the Creative Industry providing creative branding solutions to business and non profits, Josh has developed a unique way of identifying situational solutions. He is a certified John Maxwell coach, teacher, trainer, speaker and mentor. Josh is also a founding member of Strategic4Life, a development organization that provides strategic solutions with predictable results. Reggie was born in 1964, the youngest son of 10 children. Reggie joined the US Navy in 1983 as a Missile Technician on a Nuclear-Powered Submarine. Reggie’s many years as a gregarious, charming, and bold leader has served him and his customers well. He has trained many professionals and continues to bring fresh new information to his audience with a magical style. In 2003, Reggie bought a small independent real estate company as the CEO, owner, and qualified broker. Specializing in HUD home purchases and working with investors on HUD home pre-foreclosure purchasing. As a member of the Strategic4Life team, Reggie finds his sweet spot assisting others in their pursuit of strategic prosperity. Sindy grew up in a small Florida town, her playground with her 2 brothers were the local swamp marshes, entertaining fun times with local frogs, snakes & alligators. Sindy attended Florida State University, then found her way working on the open seas for Bermuda Star Lines. Upon retiring from this work, she moved to Atlanta & began working in the marketing industry while attending North Georgia State College, State University, and Georgia State University majoring in Psychology. She spent recent years assisting families to recession-proof their portfolio, succeed financially, and has developed her real estate business. One of Strategic4Life's premiere partners, she is focused on results, success and strategies to assist individuals & families. Reggie & Sindy have maintained their Real Estate business through the crash of 2008 & recession of 2012. Not only have they grown in their business but they've flourished personally & are both working diligently to help thousands more families in the future.